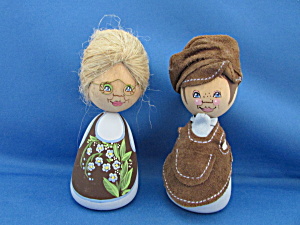 Cutest little couple from Sweden hand painted by Barbro Bjoenberg. Couple is 5 1/2" tall and is signed. Both are in excellent condition.